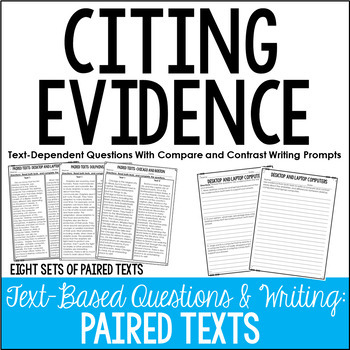 This paired text resource is perfect for having your students practice citing evidence from a text when answering questions and when writing compare and contrast essays. Click here to see the Citing Evidence Set With Persuasive Writing Prompts. 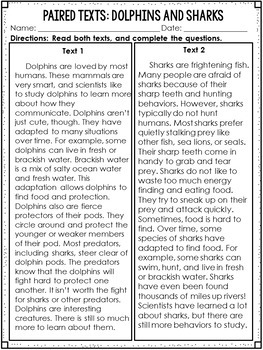 Click here to see all of my Paired Passage and Paired Text Resources. This resource includes eight paired text sets. Each set includes two paragraph-length texts on a specific topic. The topics for each set are written in a way that is ideal for comparing, contrasting, and pulling textual evidence from the text. 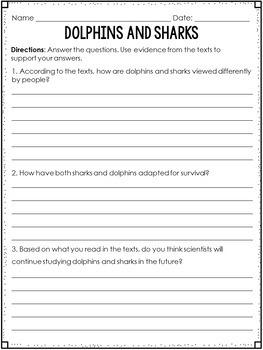 Each text set includes three constructed response questions that require the students to use text-based evidence from both texts. 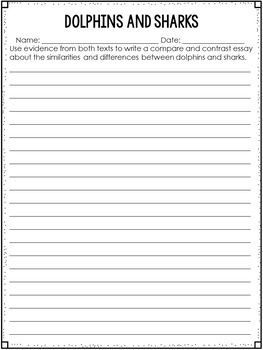 For the writing prompts, the students must use the facts from both texts (and their background knowledge, if applicable) to write compare and contrast essays about the topics explored in the two texts. Since there are eight complete sets included in this resource, some of the sets could be used for practice and some for assessment. This is a perfect resource to prepare your students for standards based assessments.